One of the major problems in our modern, frenzied society is depression—that distressed state of mind that so interferes with the kind of happiness God wants each of us to enjoy. 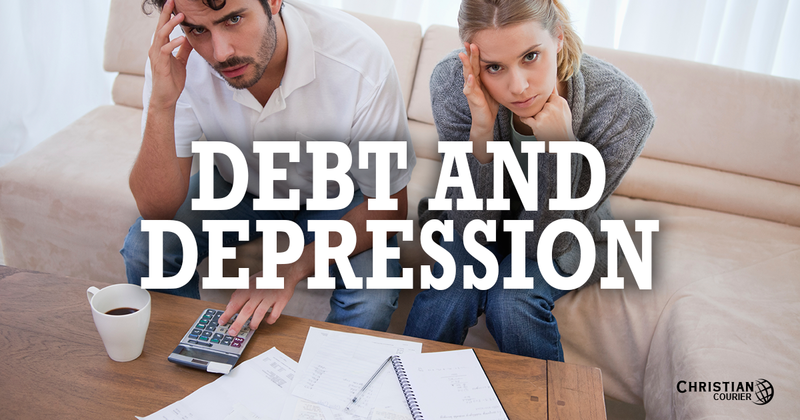 One of the significant causes of depression today is indebtedness. It is so easy to pile up debts, and so difficult to get out from beneath this burden, that many feel almost hopeless. If you owe $2,150 on a department store card that charges 22% interest, another $1,800 on MasterCard at 17.5%, and an additional $900 on Visa at 15%, and you made only the minimum payments, it would take you 22 years to pay off the debt. Plus, it would cost you $7,277 in interest charges! If you consolidated those same debts with a three-year loan at 13% interest, you would reduce your interest charges to $1,033. That’s a savings of more than $6,000, and you’d be debt-free in 3 years instead of 22. This is a reasonable solution to working on this problem—but here’s the catch. The plan would work only if you got hold of yourself and stopped charging. For many who are “spend addicts” (and that’s not a far-out descriptive), the only solution is to destroy those credit cards and start living within your income. Several years ago, before J. C. Penney died, the JCPenney corporate board met to discuss whether or not Penney’s would sell “on credit” (up to that time, it had always been a cash-only business). The only board member to oppose the credit policy was Mr. Penney himself. He predicted that if a charge policy were implemented, people would not be able to keep from over-buying, and such would cause them much hurt. Though out-voted, he was almost prophetic. Many of us who are Christians need to get our finances in order. Our excessive charging is hurting our families, and it is crippling the work of the Lord’s church. The New Testament plainly teaches that God will hold us accountable for irresponsible stewardship. “[I]t is required of stewards that a man be found faithful” (1 Corinthians 4:2). What we possess really is not ours. It belongs to the Creator, and we are his stewards. It has been said that basically there are three philosophies toward material possessions: Communism contends that everything belongs to the state. Capitalism alleges that one’s possessions belong to him—the individual. Biblical revelation declares that all is God’s (Psalm 24:1)—and we are but overseers of his property. Do you need to get serious about your finances? If so, begin to work on it. You’ll be much happier if you can see light at the end of the tunnel. For other matters relating to peace of mind in our hectic society, see our book, The Bible and Mental Health. May a Christian Declare Bankruptcy?